The Barnacle - Alex House news for more than 40 Years! 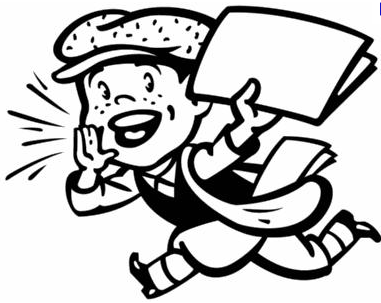 Our newsletter is always a good read and as we increase our on-line presence, we are decreasing our print and paper output. We now publish full issues three times a year - winter, spring, and fall. Community members, volunteers and staff all contribute and the result is a potpourri of news, views, chuckles, opinions and of course program and event information. If you'd like to receive each issue directly in your inbox, please subscribe (on the Home Page) and we'll be happy to add you to the list! In this issue... Longhouse Extreme Makeover, Payton Rector & Really Rod fundraiser, Garden Tour, Annual General Meeting, new fall programming ...and lots more! In this issue ... upcoming programs, live theatre at the beach, Play Away camps, Neighbourhood Fun Nights, Longhouse Exreme Makeover, and more! In this issue ....Alexandra Festival wrap-up, Longhouse Extreme Makover, Play Away Day Camps, Pilates by the Beach, Neighbourhood Fun Nights and lots more! In this issue .... Alexandra Festival, Remembering Huddy Roddan, Play Away Day Camps by the beach, Good Neighbour Awards, Building Community ... and lots more! In this issue .... Alexandra Festival, Mother Goose, Mongol Rally - the ultimate adventure, Growing Green - and lots more! In this issue .... Greek Celebration, Alex House Gold! All the Dirt on Gardening, Alexandra Festival, Mother Goose, Global Read Aloud Day, Spring Break Play Away Day Camps, Letter from the ED and lots more! In this issue .... Alexandra Festival, global Read Aloud Day, programs, Spring Break Play Away Day Camp and lots more! In this issue .... community open house, programs for the new year, remembering Lorne Jones, and lots more!